Synopsis: She left home for the stars, but found more adventure than she bargained for. A tense and intimate coming of age story in space. Her name is Binti, and she is the first of the Himba people to be offered a place at Oomza University, the finest institution of higher Lear in the galaxy. But to accept the offer will mean giving up her place in her family to travel between the stars among strangers who do not share her ways or respect her customs. Knowledge comes at a cost, one that Binti is willing to pay, but her journey will not be easy. The world she seeks to enter has long warred with the Meduse, an alien race that has become the stuff of nightmares. Oomza University has wronged the Meduse, and Binti’s stellar travel will bring her within their deadly reach. If Binti hopes to survive the legacy of a war not of her making, she will need both the gifts of her people and the wisdom enshrined within the university itself – but first she has to make it there alive. Review: I didn’t realise this book would be so small. At 90 pages, I felt kind of cheater. I love huge tomes of over 300 pages when it comes to science fiction so I was so disappointed when it came in the post. And I only discovered at that time that it was a teen book. Argh! But despite all that, it’s a good book. If my twelve or eleven year old self were reading this, I’d definitely say my mind was blown. Alas I’m an adult so no blowing of the mind resulted, but it was a good read. I read it in one, one hour sitting on the day it arrived, and then again this week to refresh my mind. 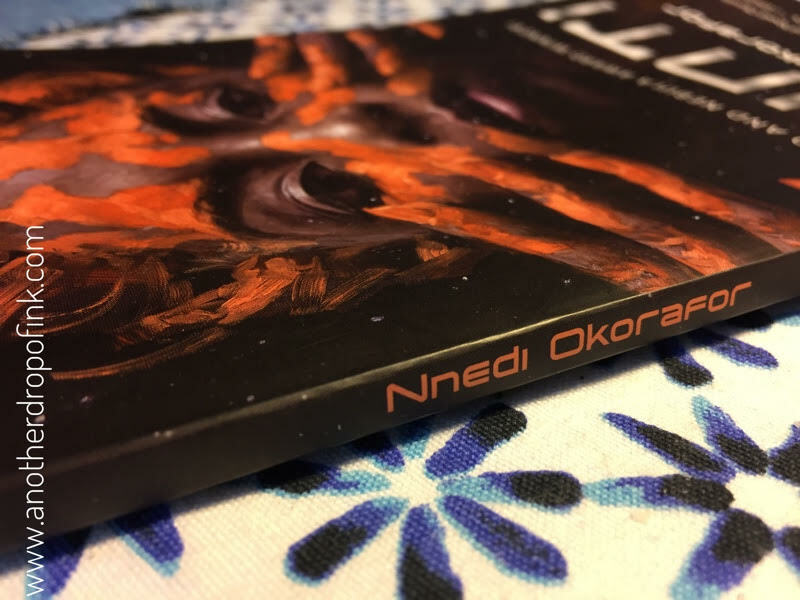 Nnedi is very economical with her writing, making sure you’re filling in the gaps yourself, leaving your imagination to work, which is great for the age group this book is targeting. 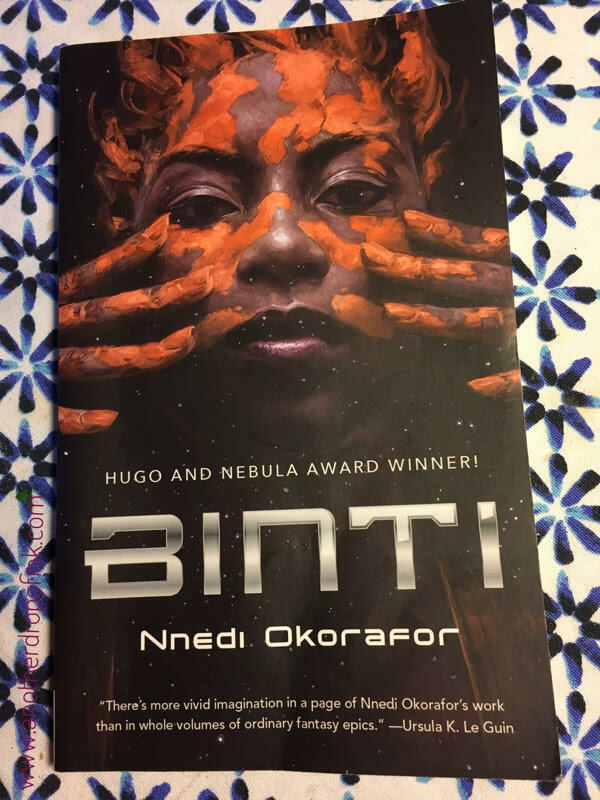 Although she’s Nigerian herself, her main character, Binti, is of the Himba tribe of people from Namibia, which is kind of cool, because rarely have I seen an African writer use a tribe outside their own country, given that most countries have lots of tribes to pick from from within their own borders. So I had to go and google more about the Himba people and you can find a bit of information that will enhance the book here. With only a handful of characters, the story still manages to engage and grip you. Told in the first person singular, we’re offered a view of Binti’s world from her view, making it a straightforward, though one sided view of her world. And given that she’s very young, it’s a very limited view at that. Hence why I think it would really appeal to young readers. Space opera this isn’t, but is a nice intro into the potential space operas out there to read in the genre. It prompts a lot of thinking, about space, about the future, about resilience, and right and wrong. The writing style flowed really well, so I wasn’t stumbling over anything or having to wonder what she meant here or there – helpful if you’re writing for a younger crowd of course. Would I recommend it? Yes. without hesitation, and especially for the younger people in your life. From eleven upwards I’d say. It was a very enjoyable read, though the theme was a tough one and more on the sad side. But yes, I’d read it again and I’d recommend it in a heartbeat.